The Durham Strategic Energy Alliance is hosting our Signature Conference Event in November. This year’s theme is: SmartFutures: Connecting Energy, Technology & Communities, covering topics related to the smart energy ecosystem. A successful energy ecosystem must consist of a truly integrated network of systems and capabilities. 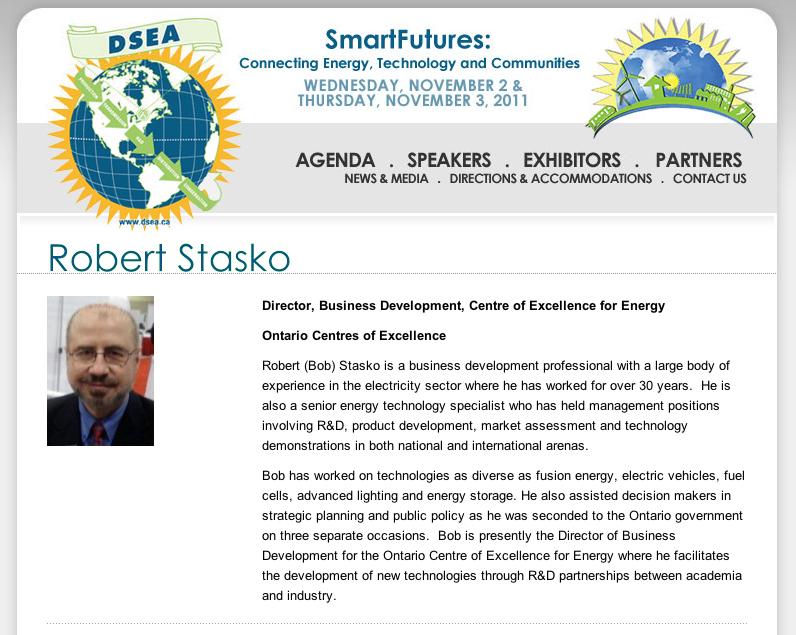 This year’s conference will focus on the collaboration and intersection of three key segments of the smart energy market – energy, including renewable energy and energy storage; technology or enabling applications, including issues around privacy and security; and communities; including case studies of community adoption of smart energy practices. In an effort to bring together professionals from various industries and disciplines topics covered will provide local examples of smart energy applications and projects underway; best practices from leading jurisdictions on the adoption of various technologies and discussions around the relationships and collaborative efforts that have enabled energy ecosystem successes around the world. OSEA sees Community Power being defined as: a class of sustainable energy projects that are owned, developed and controlled in full or in part (50 per cent or more) by residents of the community in which the project is located.